It is a known fact that the Iranian mullahs are using dual nationality citizens as hostages, they are imprisoned on bogus charges and has been sentenced to prison terms that are the same as if you murdered someone. 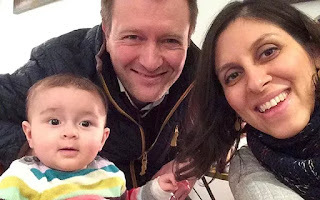 the hostage that needs our immediate concern at this point is Nazanin Ratcliff, she has been sentenced to 5 years imprisonment on charges of attempting the soft overthrow of the regime. This is bogus charges of course since Nazanin is a British charity worker with no other concern than to be with her now 2-year-old daughter Gabriella who is also a hostage in Iran. Nazanin has become very sick in prison and is in urgent need of medical treatment. But as a part of the daily torture, she is denied any medical aid. She is suffering from a neurological illness that is making her unable to stand on her feet, but she has not been allowed to get a medical cure for her illness. A neurologist warns that untreated the illness can leave her permanently disabled. Nazanin was detained on April 3, 2016. 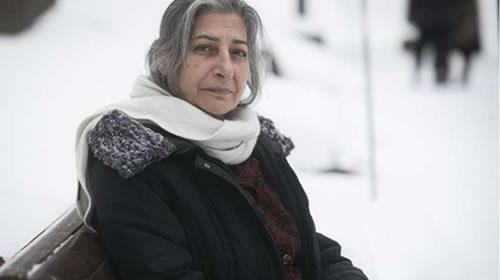 On September 10th 2016 it was revealed that she had been sentenced to five years imprisonment, she was charged with attempting soft overthrow of the clerical regime. Her daughter Gabriella has got her British passport confiscated by the Iranian police and is now being raised by her grandparents. Her husband launched a petition to get his wife and daughter back, the petition has been signed by 850 000 supporters from 155 countries. In a secret hearing on Jan 4th, 2017, her appeal was dismissed this was announced on January 22. In a statement her husband said the precise charges against Nazanin remain secret, but that two new accusations were made at her appeal. One of those accusations was that she had been head of recruitment for the BBC’s Farsi service when it was launched in 2009. The other charge was that she was a British spy. 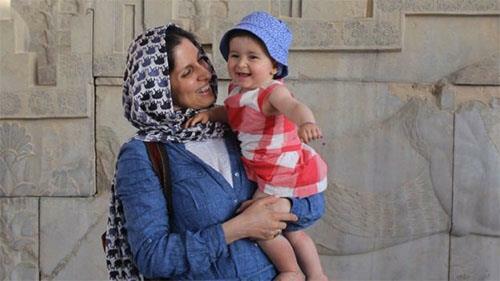 The latest months in jail has been particularly hard on Nazanin and her state of health is not good, she is in urgent need of medical treatment but is denied the request of being transferred to a hospital for treatment. The Iranian regime is using Nazanin as a bargaining chip for their own political bargains and economic interests. Iran does not recognize dual nationalities, meaning those detained cannot receive consular assistance. Nazanin is not the only Briton jailed in Iran Kamal Foroughi has been held in Evin Prison since 2011. Another Briton, unnamed is known to be in jail in Iran. I want Iran Free: Who is responsible for his murder ? Why is the Canadian foreign office so determent to deport Azizi? Azizi is an Iranian refugee that after a visit to her daughter sought asylum in Canada in 2013. She is 60 years old and she deserves to live her final years in peace and with her family. Her daughter tells us that her mother suffers from diabetes, high blood pressure, anxiety, and back pain. She is in need of medical treatment and that will not be possible if she is deported to Iran. 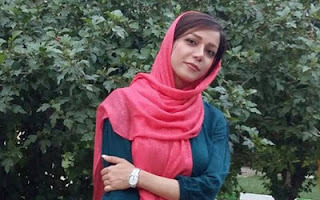 Her history with the Iranian authorities is not good, She has been arrested and imprisoned for three years in Iran for being a political activist. Her husband was executed by the regime in the 1988 massacre because of his involvement with the MEK. Azizi fears that the same will happen to her if she is deported. She will most likely be arrested upon arrival at Imam Khomeini airport and she will be imprisoned and tortured. There is also an imminent threat of her being sentenced to death if she is deported. She is scheduled to be deported on February 28th. 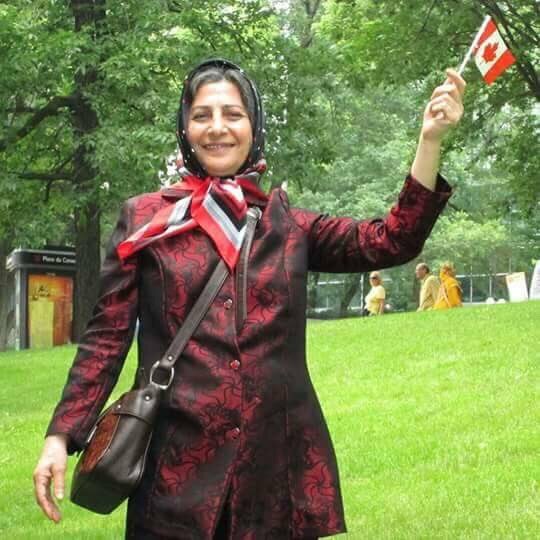 The Canadian immigration officials acknowledge she was imprisoned for three years in the 1980s, her daughter was just a toddler at that time, because of her involvement with the MEK. 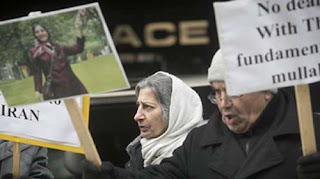 The government also acknowledge the fact that her husband was executed by the Iranian authorities in 1988. And yet they have decided to deport her to a country where the authorities do not respect human rights and are still using medieval punishments. do the Canadian immigration office not see how the Iranian regime is treating people that do not agree with their politics? 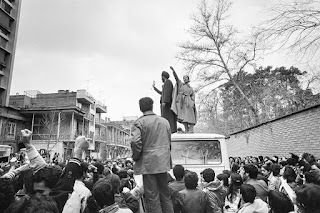 While in Canada Azizi has been active in protesting against the clerical regime in Iran and all of these protests are closely monitored by the regime. The dangers against her life become very real if she is deported, there is no doubt that she will face imprisonment and even torture. Roghayeh Azizi Mirmahaleh, centre, takes part in protest outside the federal immigration and refugee offices in Montreal Feb. 21, 2017. Kyle Matthews, head of the Montreal Institute for Genocide and Human Rights Studies at Concordia University, says Azizi Mirmahaleh has reason to fear for her safety. "I assume that if this person is deported back to Iran, there's a very good chance this person will end up in prison, could be tortured," Matthews said. Matthews said that it's time Iran was added to the list of countries to which Canada will not deport refugee claimants, including Somalia and Syria. "Iran is not a safe country. 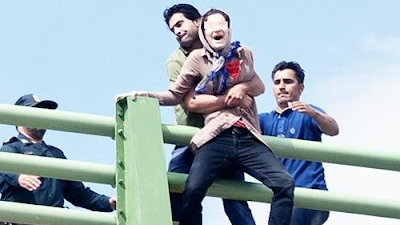 Iran has one of the most troubling human rights records of any country on the planet." The NCRI is strongly condemning the arrest and deportation orders of Mrs. Azizi Mirmahaleh, and they are calling the parliament, political parties, and refugee and human rights organizations in Canada to take immediate and effective measures to prevent the expulsion or extradition of Azizi. The Iranian resistance stresses that it holds the Canadian government fully responsible for her life. Extraditing asylum seekers who have fled the hell of the mullahs regime is a violation of many international conventions, the right to asylum and universal principles of human rights for deals with a regime that has on its black record the execution of 120 000 political prisoners. This is why we must demand that the deportation order for Mrs. Azizi is revoked. A group of nearly 100 prominent Iranian dissidents is demanding that Congress launch investigations into clandestine efforts by the Islamic Republic to influence U.S. policy using a network of lobbyists and propaganda pieces placed in Voice of America's Persian service, according to a letter sent to leading lawmakers and obtained by the Washington Free Beacon. The group of dissidents, composed of prominent Iranian voices that oppose the hardline regime in Tehran, says that Congress is not doing enough to expose the Iranian regime's lobbying efforts in D.C. and propaganda network, which is said to include some at VOA Persia. Iranian-American groups claiming to represent American interests are said to be carrying water for the Islamic regime inside the White House and on Capitol Hill, according to these dissident voices. The letter cites VOA's Persian service as a source of pro-Iran corruption. The Free Beacon has reported multiple times on claims that VOA has been infiltrated by Iran regime loyalists who seek to spin coverage in a favorable way for Tehran. In one instance, an Iranian dissident was barred from appearing on VOA Persia for voicing critical opinions about the regime. 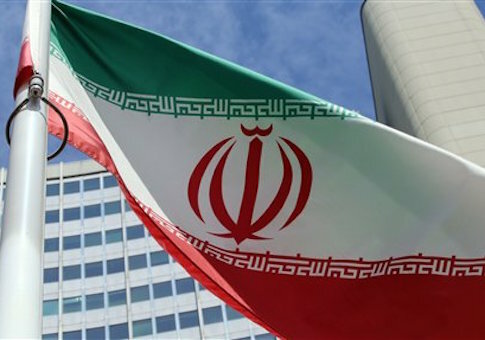 The letter comes at a time when the Trump administration is seeking a tougher approach on Iran for its repeated violations of international accords governing the nuclear deal. The dissidents maintain that U.S. officials have been too soft on the regime and ignored its surreptitious efforts to make American diplomacy more generous to Tehran. "We write to request a congressional hearing on the efforts of Tehran's theocratic regime to influence U.S. policy and public diplomacy toward Iran," the dissidents write to Sen. Bob Corker (R., Tenn.) and Rep. Ed Royce (R., Calif.), the heads of Congress' foreign affair committees, according to copies of the letter obtained by the Free Beacon. 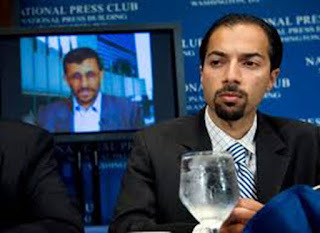 "We ask that you launch an investigation into any and all lobbying activities of Iranian-American groups, which ostensibly promote the interests of our community but whose real goal is to undermine long-term U.S. national security interests in Iran and its neighborhood," the dissidents write. Organizations such as the National Iranian American Council, or NIAC, which played a key role in championing the Iran nuclear agreement and worked closely with the Obama administration, have long operated under a cloud of suspicion. Dissident voices maintain that NIAC in particular serves as a mouthpiece for Iran's regime in the United States. The group of dissidents—which includes foreign policy experts, university professors, interfaith leaders, prominent real estate developers, and human rights activists, among others—also requested that Congress shine a light on VOA Persia's activities. "We also ask that you launch an inquiry into the Voice of America's Persian service, whose bloated budget is the largest of all language services under the VOA," they write. "There have been numerous instances of editorials by the VOA's Persian service that have been lenient or favorable to Iran's clerical despots. We consider this to be totally unacceptable and demoralizing for pro-democracy Iranians who watch these broadcasts." Such hearings would compliment past efforts by Congress to investigate corruption at VOA, including what many describe as its pro-Tehran bent. Peter Kohanloo, a chief architect of the letter and president of the Iranian American Majority, told the Free Beacon that the missive represents an unprecedented effort by Iranian dissidents to expose the Iranian regime's "influence-peddling agenda." "Never before have so many Iranian dissidents of different political persuasions and backgrounds come together to speak with one unified voice," Kohanloo told the Free Beacon. "This historic letter is a clear and unmistakable message to Tehran that we will no longer tolerate their influence-peddling agenda, which divides our community and demoralizes pro-democracy activists in Iran." The group of dissidents informed lawmakers that they are all willing to testify publicly at congressional hearings on both of these matters. What is the meaning of Swedish women with hijab in Iran? 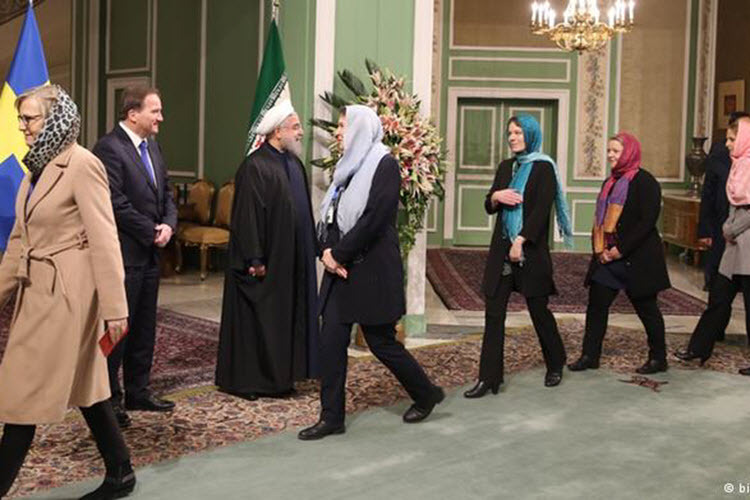 It is with great disbelief I watch the Swedish delegation enters Iran. The women who are in the front line fighting for women’s rights bends over and great the Iranian delegates wearing HIJAB, I had to look twice to believe this. I ask the Swedish ladies: How could you sell out all that you are fighting for? How could you let down your Iranian sisters like this? It is really the walk of shame in many meanings. First of all, you are wearing hijab, last time I checked Sweden was not a Muslim country so this is not your normal headgear. Second, what are you doing in Iran? do you not see all the atrocities that the regime is doing to their own people? and especially women? To show respect for a country should not mean that you sell out your beliefs and values, but this is exactly what the Swedish delegates are doing when they are bending over for the dictators in Tehran. 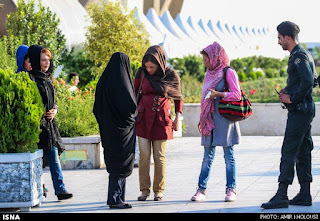 The French delegate was no better, do not tell me it is out of respect for the country, the Persian culture does not contain forced hijab, this is a clerical phenomenon that appeared after the mullahs hijacked the Iranian revolution. In true Persian culture wearing hijab is a personal choice, every woman decides if she wishes to wear hijab or choose not to. 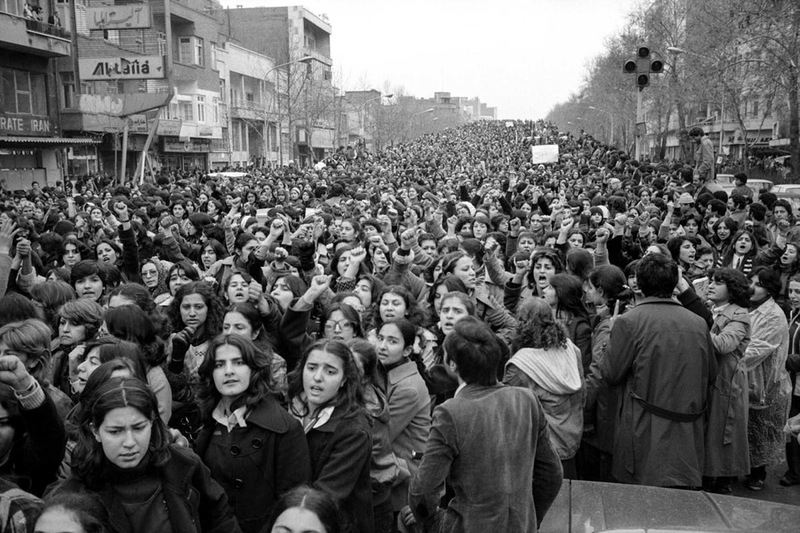 The day 100,000 Iranian women protested the headscarf. The protests against forced hijab are at an all-time high in Iran, more and more women are protesting against this Islamic rule forced upon the women by the mullahs and their brothers and husbands are fighting with them. So how can government delegates sell out so easily? The bravery of the Iranian women is outstanding, they keep protesting even if they can end up in jail or be sentenced to public flogging. So why do the female delegates who visit Iran bend over so easy? Do you think this is a must out of respect for the Islamic religion? Take a look at the western female delegates visiting Saudi Arabia, none of these ladies was forced to wear hijab, none. This is true Islam, wearing hijab must be a choice the woman makes, to get these rights for women of Iran there must be a regime change because the Mullahs in Tehran are old and they are still in the dark ages when it comes to the development of society. The only solution for the women of Iran to get freedom of choice is to overthrow the mullahs regime and elect a democratic government that believes in equality between genders and human rights. It is about time there is established safe zones in Syria, there have been almost 6 years of war and the children of Syria needs to be able to get their childhood back. some of the children do not know any other reality except that of bombs and killings. they have forgotten how it is to be a child. they are living in a world where bombs, killings, and loss of family members are normal. 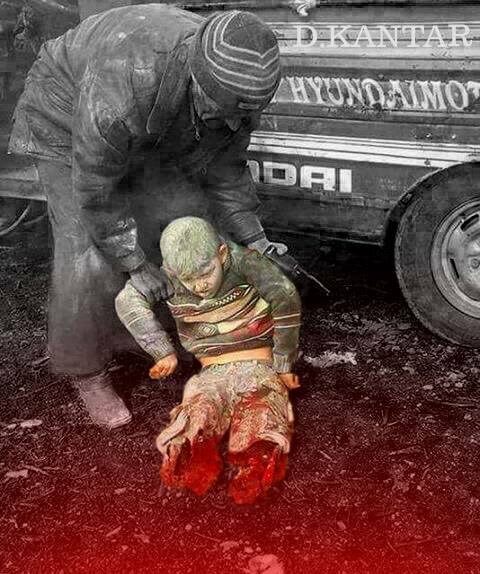 The images that are emerging from the southern parts of Idlib province in Syria is very disturbing. like the one of little Abdel-baset who lost his legs by an Assad bomb. He cried for his father and he lost his mother and sister in the attack. He survived but there are many children who are not so lucky. Why is there an increase in suicides in Iran? The rate of suicides in mullahs regime in Iran has been increasing rapidly over the past years. What is alarming is that it is not only addicts or mentally disturbed individuals. It is family fathers who feel that they can not provide for their family so they kill first their children and then commit suicide or young girls who see no light in the dark shadow of the dictatorial regime so they kill themselves. The Iranians who commit suicide is often very young girls that see no future in Iran and they feel they do not have any other way out of hell. Syrian rebels in Daraa announced that they have captured the strategic area of al-Najar in al-Manshiya neighborhood of Daraa countryside. The rebels asserted that the Syrian regime has lost control over most of its territories in Daraa. Al-Bunian Al-Marsous operation room in the eastern part of al-Manshiyah said on its Facebook page that the regime forces used women as human shields in order to stop the rebels advancement. The operation room also said that tens of the Syrian regime soldiers and the militias loyal to them have been killed or injured during the clashes that have been going on over the last two days in Daraa. Iran’s hard-line Islamic regime has escalated it's overseas terrorist operations, establishing a network of over a dozen internal training camps for foreign fighters, the regime’s largest resistance group said at a press conference on Tuesday in Washington. The U.S. calls Iran the world’s No. 1 state sponsor of terrorism. However, neither the Islamic Revolutionary Guard Corps nor the Quds force is on the State Department’s list of designated terrorist organisations. The Treasury Department in 2007 designated the Quds force as a material supporter of terrorism, but National Council of Resistance of Iran officials say the U.S. government should go much further. “The Iranian resistance has emphasised on countless occasions that the source and the epicentre of terrorism, fundamentalism and regional meddling is the fundamentalist regime ruling Iran,” said Alireza Jafarzadeh, deputy director of the council’s Washington office. 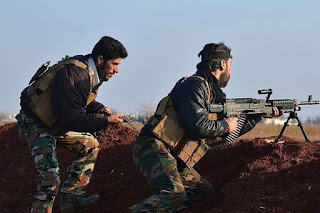 “Every month, hundreds of forces from Iraq, Syria, Yemen, Afghanistan and Lebanon — countries where the regime is involved in front-line combat — receive military training and are subsequently dispatched to wage terrorism and war,” the statement said. In Lebanon, Iran supports, arms and finances Hezbollah, a U.S.-designated terrorist group that is also fighting for Mr. Assad in Syria. Some Quds graduates have shown up outside the region and on the U.S. doorstep in Latin America. Homeland Security Secretary John Kelly testified before Congress, when he commanded U.S. Southern Command as a Marine Corps general, that Hezbollah operatives had arrived in South America and that Iran had opened scores of Islamic centers there. Critics of the Obama administration’s negotiated nuclear deal with Iran, which freed up billions of dollars in frozen assets, say the concessions have failed to temper Tehran’s bellicosity or its desire to exert hegemony over the Persian Gulf region. The council’s report says the Quds force oversees 14 training bases from operation headquarters at the sprawling Imam Ali airbase. The commander reports directly to the Quds commander, Gen. Qassem Soleimani, who has been directing operations in Iraq and in Syria. The largest number of enlistees at Imam Ali are from Syria. They learn how to fire heavy weapons and missiles and to operate drones. The council listed what it said were the locations and secret code numbers for other camps that conduct training in urban warfare, such as riding motorcycles in terrorist attacks. The council’s report, using satellite imagery, locates each camp on a map of Iran. The Shahriar Garrison in south-west Tehran, for example, specialises in training Afghan mercenaries, who are then sent to Syria. At the press briefing, Mr. Jafarzadeh, the council official, called on the Trump administration to add the Islamic Revolutionary Guard Corps and its Quds force to the State Department’s terrorist list. 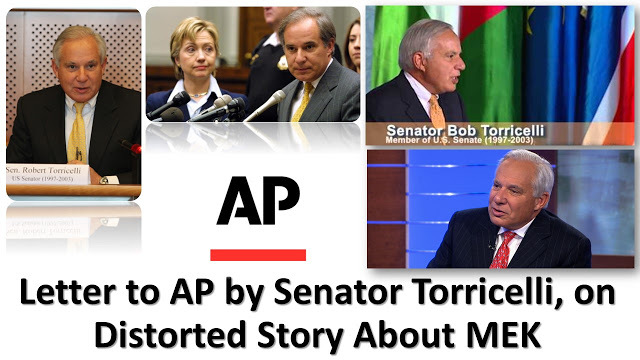 MEK was once on the State Department’s terrorist list, for attacks it was accused of carrying out in the 1970s and 1980s, first against the government of the shah of Iran and later against the clerics who overthrew him and now dominate the regime in Tehran. The group fought a long, battle to get the designation lifted, and the Obama administration delisted MEK in 2012 after attesting that it had not been involved in terrorism for over a decade. 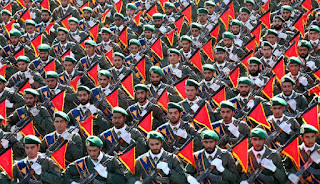 At the center of the multitude of problems the international community faces with the Iranian regime is the Islamic Revolutionary Guards Corps, a military body founded after the 1979 revolution to crush internal dissent and further the evil ends of the ruling class abroad. President Trump's administration is now considering designating the IRGC in its entirety as a foreign terrorist organization. 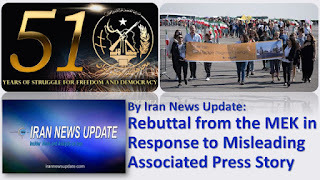 Recent revelations by the Iranian opposition group People's Mojahedin Organization of Iran (PMOI/MEK) suggest that not only is such a designation crucial, but it is long overdue. 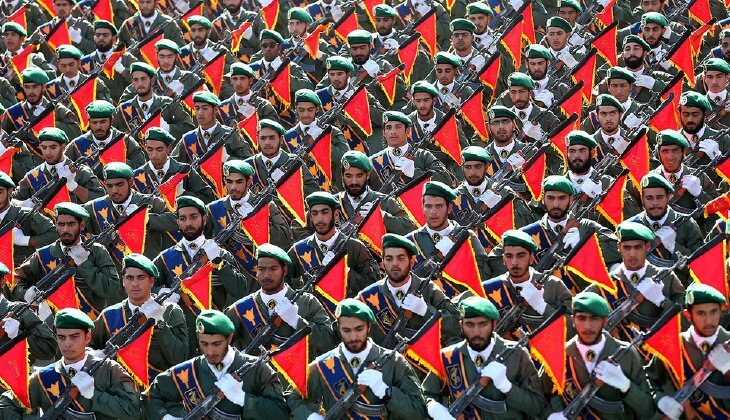 The information, disclosed on Tuesday in a news conference held in the Washington, D.C., office of the National Council of Resistance of Iran, revealed new IRGC training camps set up as part of the Iranian regime's strategy to notch up its terrorist meddling in the Middle East. According to the reports, hundreds of foreign fighters trickle through Iran's borders every month to receive training and be dispatched to other countries for terrorist missions.